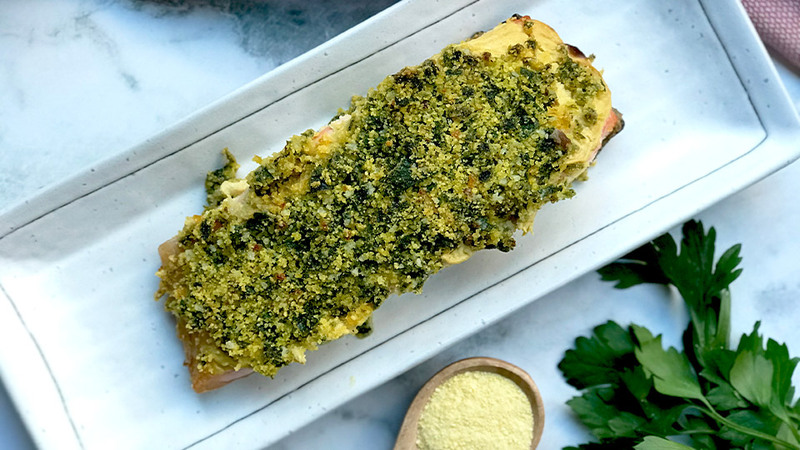 Fresh crusted salmon, if done well, can be one of the most amazing home-cooked dishes. 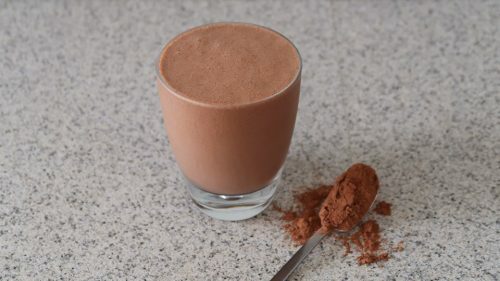 It doesn’t require much preparation, it’s quick, easy and delicious. My mother-in-law regularly makes a delicious salmon dish, which we all completely adore. 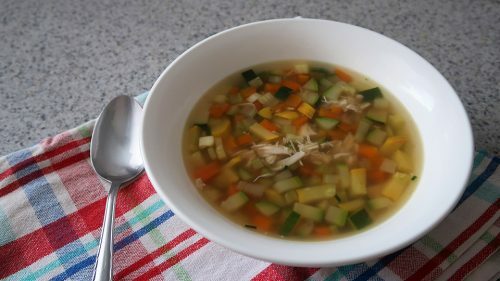 Together with my husband, we adjusted the dish to make it low FODMAP yet still delicious. 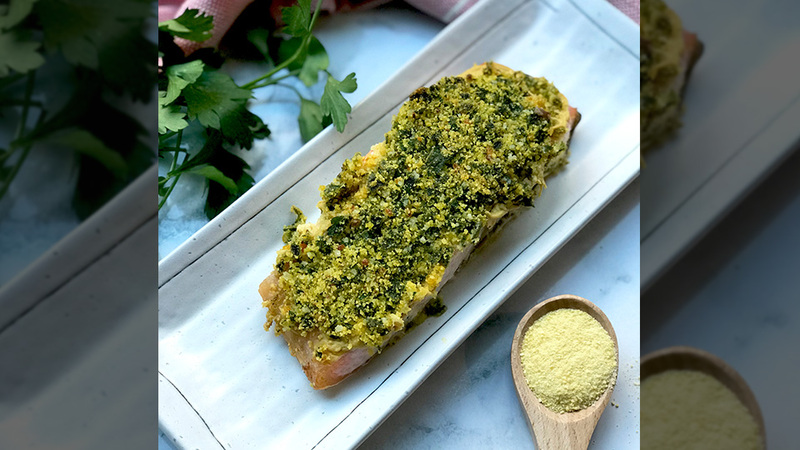 Instead of using panko breadcrumbs, we managed to keep the crunchiness of the crust on top of the salmon with corn breadcrumbs, a staple ingredient in our low FODMAP kitchen. If you can’t get fresh salmon, frozen will do. However, in our opinion, there is nothing like fresh – and you can definitely taste the difference. Pre-heat the oven to 220 degrees Celsius. Oil a large tray with 1 tablespoon of olive oil. Place the salmon fillets on the tray, skin down. Now prepare the crust: Add the zest of one lemon, finely chopped parsley, corn breadcrumbs, salt and pepper to a bowl and mix well. Then pour the garlic infused olive oil into the crust mix and combine gently. Be careful no to over mix it – it should remain crunchy. Spread one teaspoon of Dijon mustard on top of each salmon fillet. Then gently pat down the crust mixture on top of the Dijon mustard. The mixture should be divided evenly between the fillets. Add some freshly ground salt on top of the crust. This will enhance the crunchiness and flavour. Place the salmon into the pre-heated oven and cook for about 13 minutes. Remove the salmon from the oven and allow it to rest, by covering with tin foil, for five minutes before serving. Squeeze lemon wedges over the fillets and enjoy! This salmon can be enjoyed with a side salad or your favourite vegetables. Dorit Jaffe is the founder of The FODMAP Talk. After learning that she has irritable bowel syndrome (IBS), Dorit was determined to find a solution to help her live a fabulous life again – and the low FODMAP diet was it. Dorit now shares her passion for the low FODMAP diet and is helping others with IBS to find a solution. For those of us who can’t have garlic but still want flavour, this basil pesto is a winner. 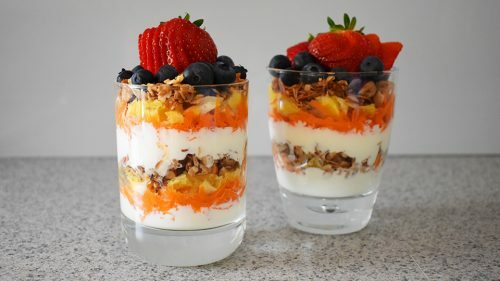 If you’re looking for a light and refreshing breakfast during the warmer months, this parfait really hits the spot.